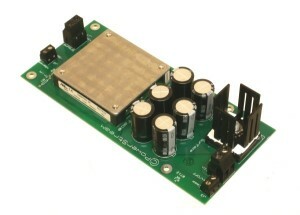 Isolated low voltage AC/DC converter board for security systems. Remote turn-on When the two input terminals on J3 are shorted together the unit turns OFF. This DC converter cannot manufacture power, so make sure you have enough 24VAC power to supply the load. The power output is limited to the power that is input to it times the efficiency of 84%. So if you have a supply of 24VAC and 2.5 amps your power is 60 watts (24V*2.5A=60W) So the most we can deliver is 60W/5V * 0.84 efficiency = 10 Amps. 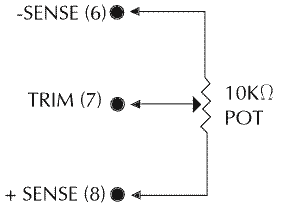 Of course you can draw less than 10 Amps, this is the maximum. If you only have 24VAC*.41A = 10 watts available, you can still use this unit, just don't take more than 10/5 * 0.84 = 1.68 amps out.